We are down to the final 8 days of the regular season and for your daily NBA fantasy tournaments as such, we are extending our invite to a complete breakdown that will included – specials – analysis – projections set for you to win fresh-lettuce tonight – go to the current RotoCanon page for the week or click DiRTyPlays. Tonight features only a few games so slim pickings, therefore you will need to be precise in your selections. Use our DiRTyPlays, it helps you win. We have placed the same information we send to members on our RotoCanon page for you and you will notice that it might be a good idea to look at Marvin Williams and Wesley Johnson tonight as they top our list of #Sleepers. It’s crunch time as the NBA is coming to a close in the coming weeks and we want you to win. 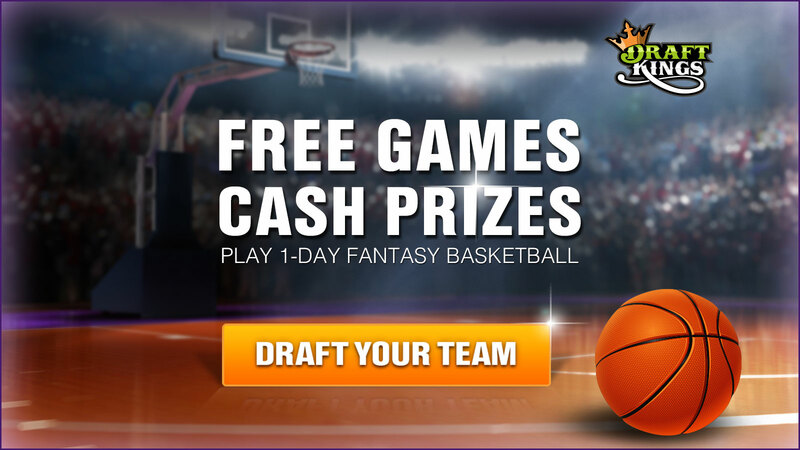 Join our FreeRoll on DraftKings as well as our beginners double up on Fan Duel. Just click any of the links or pictures and be sure to take our poll on information provided in our DiRTyPlays segment as we look for you to tell us what level of information you are looking for.